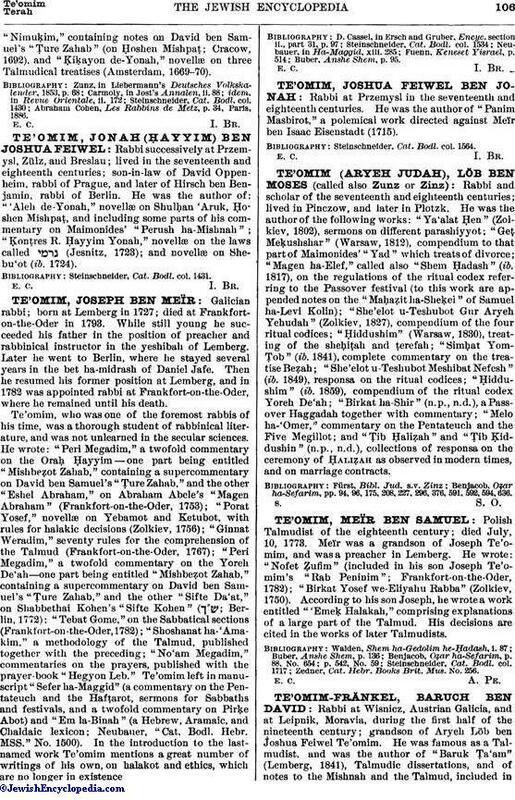 Rabbi at Wisnicz, Austrian Galicia, and at Leipnik, Moravia, during the first half of the nineteenth century; grandson of Aryeh Löb ben Joshua Feiwel Te'omim. 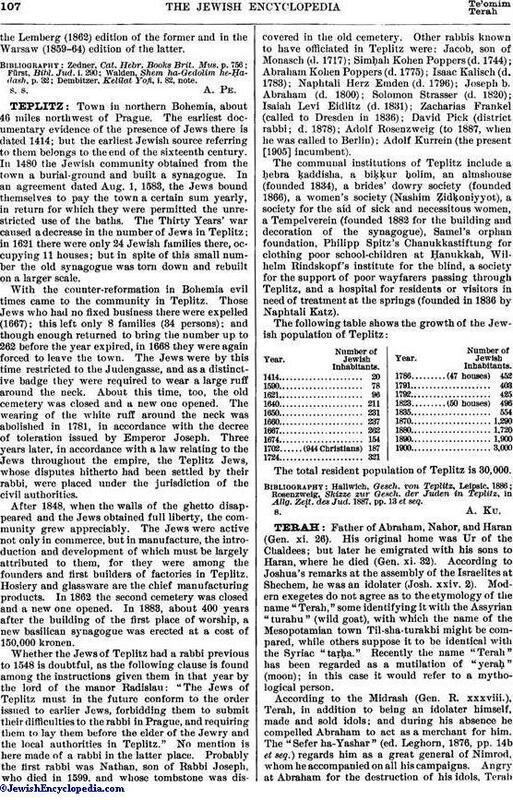 He was famous as a Talmudist, and was the author of "Baruk Ṭa'am" (Lemberg, 1841), Talmudic dissertations, and of notes to the Mishnah and the Talmud, included inthe Lemberg (1862) edition of the former and in the Warsaw (1859-64) edition of the latter. Dembitzer, Kelilat Yofi, i. 82, note.